Yesterday, my nine-year-old grandson and I saw the film Ant-Man and the Wasp starring Paul Rudd, Evangeline Lily, Michael Peña, Michael Douglas, and the amazingly cute Abby Ryder Fortson. I’ll try to keep spoilers to a minimum but I can’t promise to conceal everything. I read another review of the film (and sadly, I must confess I can’t remember where) which said the movie was the story of three fathers, Scott Lang (Rudd), Hank Pym (Douglas) and Bill Foster (Laurence Fishburne), each trying to save their own daughters, although Foster isn’t biologically Ava’s (Hannah John-Kaman) Dad. After seeing the movie, I’d say that’s a fair analysis, and as a Dad and Grandpa, I enjoyed this aspect of the film, especially since all three men are depicted as heroes, which is somewhat rare in today’s entertainment industry. Of course, all three are flawed in some way, and they wouldn’t be interesting if they weren’t. Scott, for all of his good intentions, manages to screw up almost everything he tries for a good part of the film, but manages to redeem himself in the end. Pym is shown to be a driven, egotistical, stubborn, and opinionated genius, and while his goals are nobel, how he goes about them, not to mention his legacy of leaving broken lives scattered across the past thirty years, has caused many of the problems he faces in this tale. Foster, Pym’s former collaborator, is nearly as harsh as Hank, but he too has a nobel goal, one in which he is forced to set aside if it means hurting or killing innocent people. Fortunately, another path to saving his “daughter” presents itself in the end. 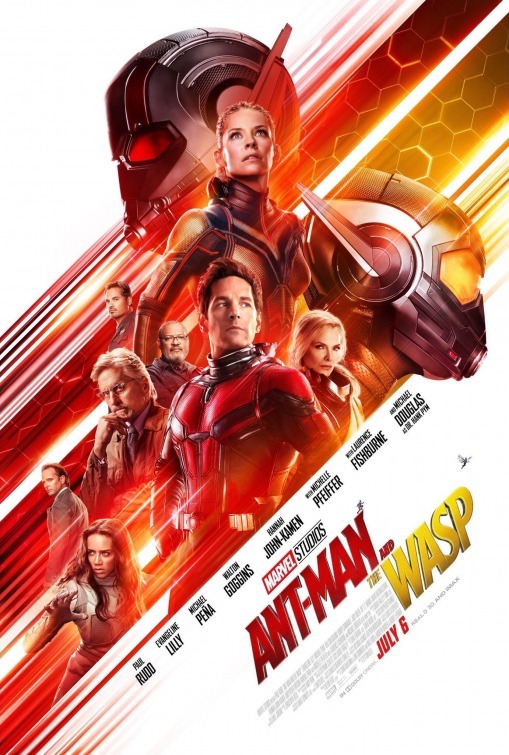 The movie wasn’t quite as tightly constructed as the original Ant-Man (2015), but it came fairly close. The pacing was good, the action was terrific, and Luis (Peña), Dave (Tip “T.I.” Harris), and Kurt (David Dastmalchian) provide the expected comedy relief (though their attempts to go straight would have met with disaster without a phenomenal stroke of luck). As I’ve already mentioned, Fortson as Scott’s daughter Cassie, does a fabulous job, and I hope the industry doesn’t ruin her as it has so many child actors before her (sorry about the editorializing). A few fun facts. In the Marvel comic book “The Avengers” in the mid-1960s, Bill Foster was Hank Pym’s lab partner and figured into a story arc involving racism and a KKK-like organization “The Sons of the Serpent.” This was a rare depiction of such a serious topic during that era, and I’m glad to see Foster “updated” in this movie. Randall Park plays FBI Agent Jimmy Woo, who was a Chinese-American agent first introduced in “Atlas Comics” in the 1950s, again, a rare event for that timeframe. In the movie, he’s played more for comedy, while the comic book Woo was a “tough-as-nails” operative who would go on to joining SHIELD in the comic book “Strange Tales” in the ’60s. Elihas Starr (Michael Cerveris) is briefly shown in a flashback, and although not a super villain in the movie, he was actually one of Hank Pym’s most deadly foes in the early 1960s, known then as Egghead. Bobby Cannavale and Judy Greer reprise their roles as Paxton and Maggie respectively, although they don’t have as significant involvement in the story this time around (and Paxton is enormously and even annoyingly affectionate toward Scott). I mentioned Ava (John-Kamen) previously, but mum’s the word about her character since she represents a significant plot point. All’s well that ends well at the conclusion of the film, with a drastic twist in the mid-credit scene, and again, my lips are sealed. My bottom line: Go see the movie. It’s loads of fun, and my grandson was laughing at all of the gags and enjoying himself terrifically. I think you will, too.